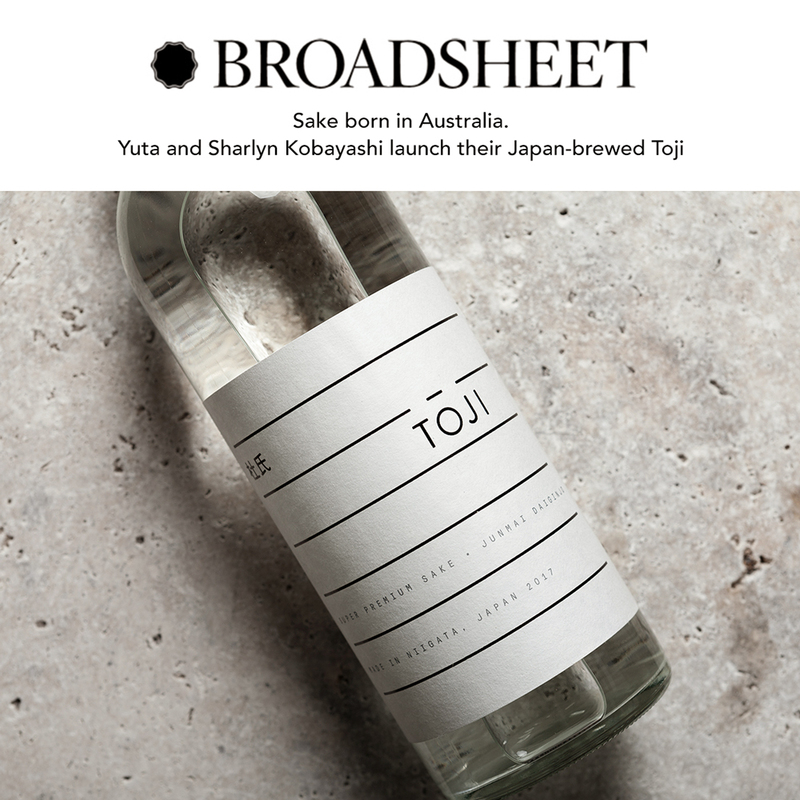 "Melbourne based husband-and-wife team Yuta and Shar Kobayashi are on a mission to increase Australia’s appreciation for saké." "For goodness Saké - 'we had an idea to modernise it, make it more appealing to the western palate, make it more visually appealing, and educate drinkers at the same time.' After months researching in Japan, the couple found their ‘tōji’, japanese for ‘brewmaster’. Together, they produced a high-grade saké, made to traditional methods." "For the sake nerds, Tōji is made in the most premium a.k.a ‘Junmai Daiginjo’ style." "If you consider yourself a sake connoisseur or have keen interest to experience a new taste, you might as well start with the best. Tōji Sake is a premium drop made in Japan from the finest ingredients, handcrafted by one of the most skilled sake artisans in Japan. Geared towards the modern Australian palate, Tōji Sake is the perfect drink to include in your summer drink collection." "Founded by Melbourne-based Yuta Kobayashi, Toji came as the birth-child of a passion of travelling, missing tradition and Japanese Culture with the food scene in Melbourne. Refined over centuries, Yuta takes inspiration from his grandfather, and his ritual of an afternoon sake, and wanting to bring it to a larger audience." "This approachable sake draws upon traditional Japanese flavours but modernised for an Australian palate. Crisp, perfumed and well balanced would be a perfect accompaniment to a trip to see the contemporary art collections at Sydney's White Rabbit or GOMA in Brisbane. 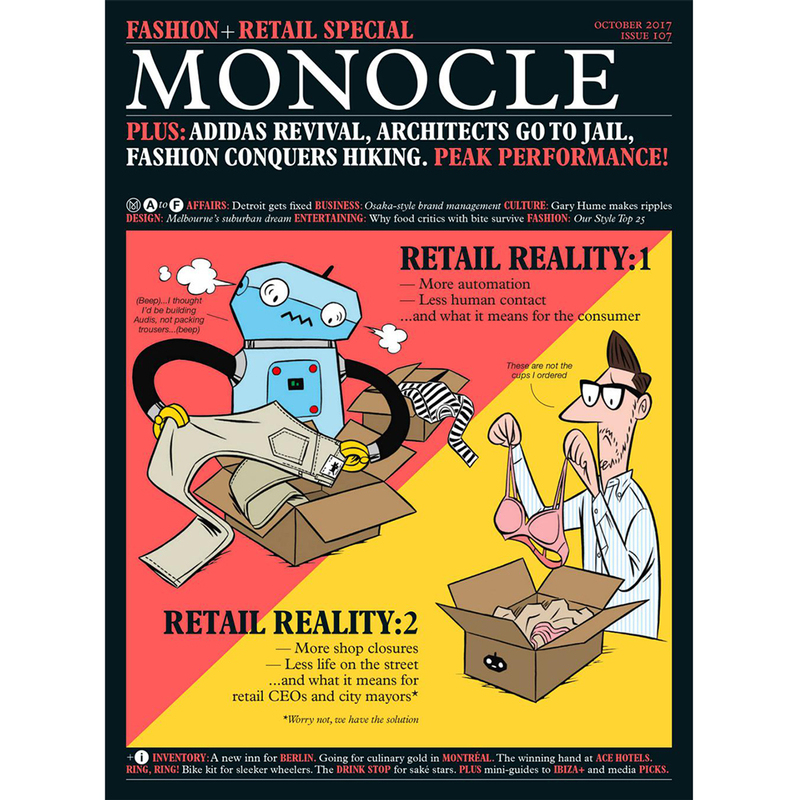 Plus, the bottle is a work of art in itself — you'll want to keep it." "Our Tōji (brewmaster) selects the finest ingredients: rice from the world-renowned Niigata Prefecture and water direct from the Asahi Mountain ranges." For most Australians, sakè is a tipple to try whilst in the land of the rising sun. A memento of a holiday abroad rather than a go-to when it comes to an after-work beverage. But sakè is just as versatile as any spirit (or wine for that matter) and should really be a part of the Australian drinking vocabulary says Tōji Sake founder Yuta Kobayashi. "We want to start a sake revolution here in Australia says Yuta Kobayashi, founder of Melbourne-based Toji Sake. Already stocked in restaurants such as Iki-Jime, Kisume and Minamishima, Toji is perfect to sip chilled on its own, or can be used in cocktails wth a twist, such as a sake mojito or sake Moscow mule. Kanpai." "Food has always been part of Kobayashi’s life. His dad is a classically trained chef, and moved the family from Japan to Melbourne when Kobayashi was two. Living here most of his life, Kobayashi says he has memories of visiting Japan and watching his grandpa and uncles drink sake during family gatherings. That’s what makes sake so special to him." 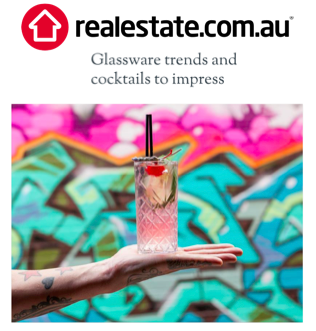 "Glassware trends and cocktails to impress".